Digital marketing and website optimisation is about persuading visitors to take action. But what if your visitors come from a range of different countries and cultures? Will one strategy work for all visitors even though they come from different cultures? Design and culture are highly interrelated and yet little allowance is often made by some websites for cross-cultural differences. Culture has a deep and pervasive influence on how people perceive and react to web content. For global brands in particular it is important to consider how people from different cultures interpret and respond to such variants as colour, language, images and technology to be able to serve optimal content. Design does not evolve in a cultural vacuum. McDonald’s for instance has a separate website and uses different colours for every country they operate in. They do not attempt to have a consistent brand design and website for consistency’s sake. They appreciate that design and culture are closely related. 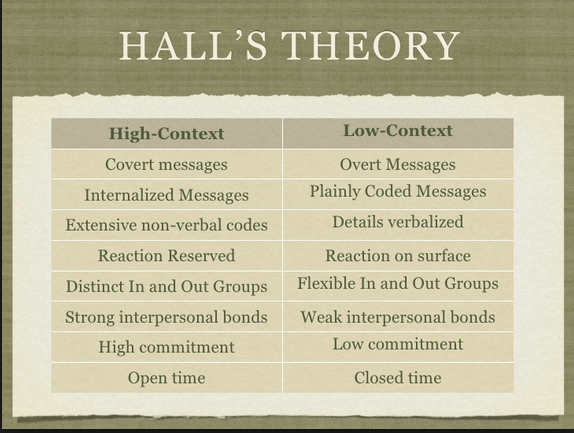 The most influential research studies on cultural differences in communication were conducted by the anthropologists Geert Hofstede while at IBM and Edward T Hall when he taught inter- cultural communications skills at the US State Department. Their research studies are a must for anyone wanting to develop culturally responsive design and content as they provide many important insights into how design and culture are highly interrelated. Professor Geert Hofstede conducted probably the most comprehensive study of how cultural values vary by country between 1967 and 1973. Whilst working for IBM he analysed data from over 70 countries. He has since used studies, such as the World Values Survey, to validate and refine his cultural dimensions theory. 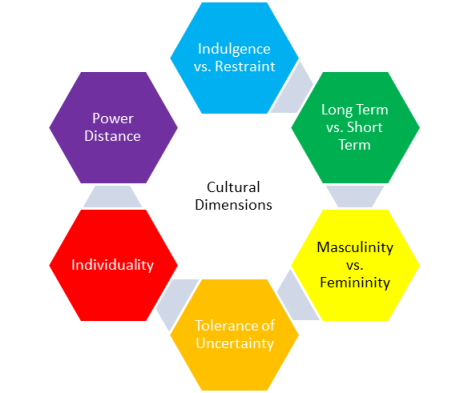 This identifies 6 cultural dimensions that can be used to explain observed differences between cultures. This can be used to help align design and culture to avoid mistakes when creating an experience for a specific culture. 1. 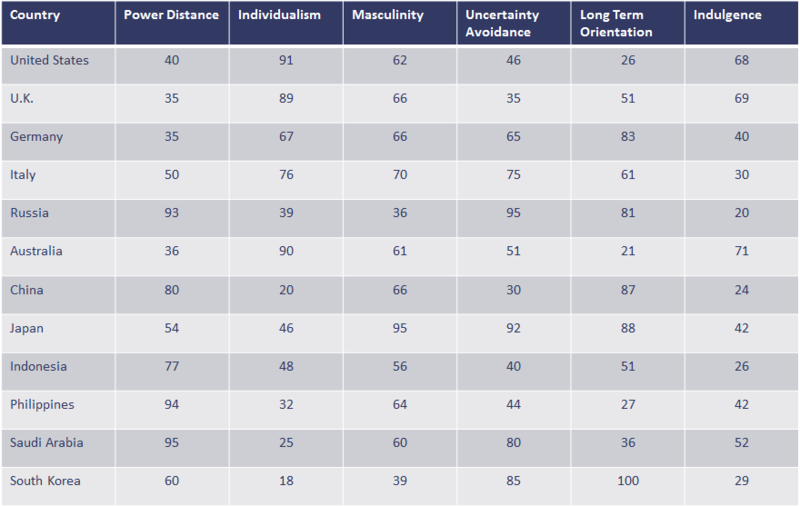 The Power Distance Index – How is power distributed in a culture? The Power Distance Index is the degree to which people accept and expect inequality in a society. Cultures that score low on this dimension will seek to reduce the level of inequality and expect justification for where it does exist. 2. Individualism versus collectivism – Is a person’s self-image defined by “I” or “we”? In Western cultures, we tend to focus on the needs and wants of the individual. Conversely, Eastern cultures place the needs of the collective ahead of individual. 3. Masculinity – Does a culture have a preference for achievement, heroism, assertiveness and material rewards? If so, to what degree? In this context, femininity translates to collaboration, modesty, caring and quality of life. 4. Uncertainty Avoidance – How comfortable does a society feel with uncertainty and ambiguity? A high score indicates a society that has formal rules and policies and are often intolerant of unorthodox behaviour and ideas. They also like to plan for every eventuality and are more concerned about product specifications than societies that score lower on this dimension. 5. Long Term Orientation – This describes a culture’s time orientation – long-term vs short term. Scoring low means a culture favours long-standing norms and is suspicious of societal change. Cultures that score high are pragmatic and take a long-term view of business. encourages instant gratification and enjoying life and having fun. Low scores reflect strict social norms which suppress indulgent behaviour. Data from over 100 countries has been made available in the Country Comparison tool by the Hofstede Centre. This is very useful if you’re trying to boost conversions by aligning design and culture to improve the customer experience in a cross-cultural context. 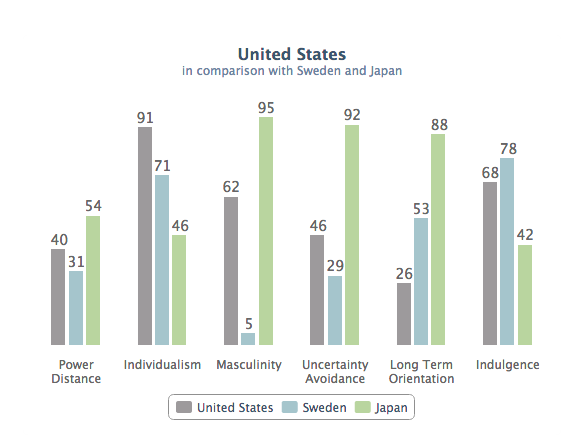 For instance, this chart shows us that Japan scores much lower on individualism than the United States. This suggests that web content in Japan needs to focus more on the community and relationships, rather than showing pictures of individuals in isolation. Japanese people don’t like to stand out from the crowd and are more likely to put the needs of society before personal preferences. Their high score for masculinity reflects their competitive drive for excellence and perfection, together with a strong work ethic. These values should be reflected in web content through both high quality imagery and messaging about how the product quality cannot be beaten. At 92 Japan is one of the most uncertainty avoiding countries in the World as they like to plan for every eventuality. This means Japanese people usually won’t make a decision until they have reviewed all the facts and figures. Risk assessment and planning tools, as well as detailed and fact based information, could help boost conversions in this cultural context. Design and culture must be aligned here as otherwise visitors will seek the information they are looking for elsewhere. Art preferences are affected by cultural norms and tends. For example, a study of over 400 Western and East Asian portraits found that the subject’s face on average made up around 15% of the total area of the picture in Western art compared to just 4% on average in East Asian portraits. However, one study that analysed Facebook profile photos found that 12% of Americans’ photos lacked any background – compared to only 1% of photos from the Far East. Both our art and Facebook profiles reflect our cultural ideals and preoccupations that influence our behaviour in all kinds of ways. This is just another way that design and culture are interrelated and this occurs in all aspects of society. Western culture emphasizes individualistic and independent traits. People focus on their own face and pay less attention to the background. Eastern culture emphasizes communal and interdependent traits. There is more of a tendency to include context (e.g. 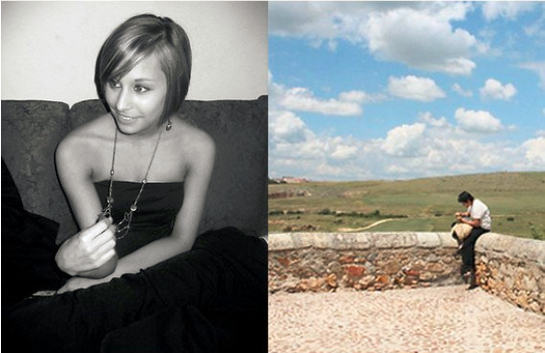 the background) and other people in their pictures. High-context cultures (e.g. China and Japan) have many ‘unwritten rules’. Low context and high context cultures relate to a number of cultural traits, including commitment, trust, overtness – and even time. Design and culture can be easily aligned here by identifying whether the society has many unwritten rules or people leave little to interpretation. People in low context cultures often have a monochromic perception. This means they see time as tangible and sequential. They follow strict time schedules, focus on one task at a time and set deadlines that they aim to meet at all costs. High context cultures tend to have a polychronic perception of time where it is more fluid. Punctuality and structure is less important and deadlines are seen as more flexible and people work on multiple tasks at once. So how can we apply this insight to our sites? Clear focus on the product. 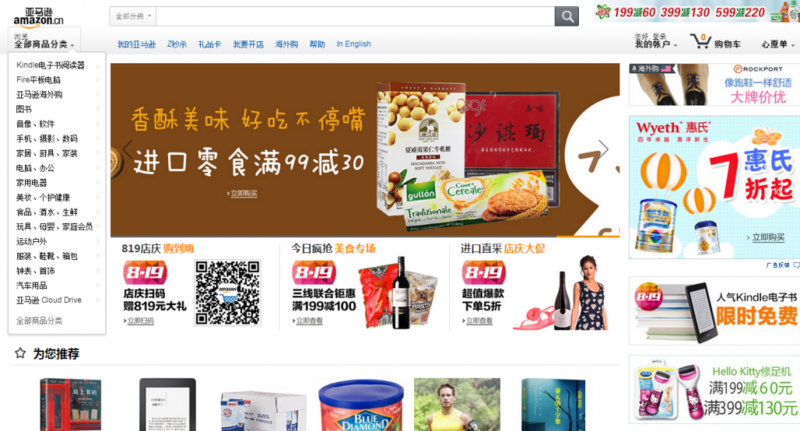 Check out Chinese e-commerce website Taobao on the left and compare it with the UK’s John Lewis site. Both are very successful e-commerce sites, but vastly different website design approaches due to the cultural values of the countries they operate in. 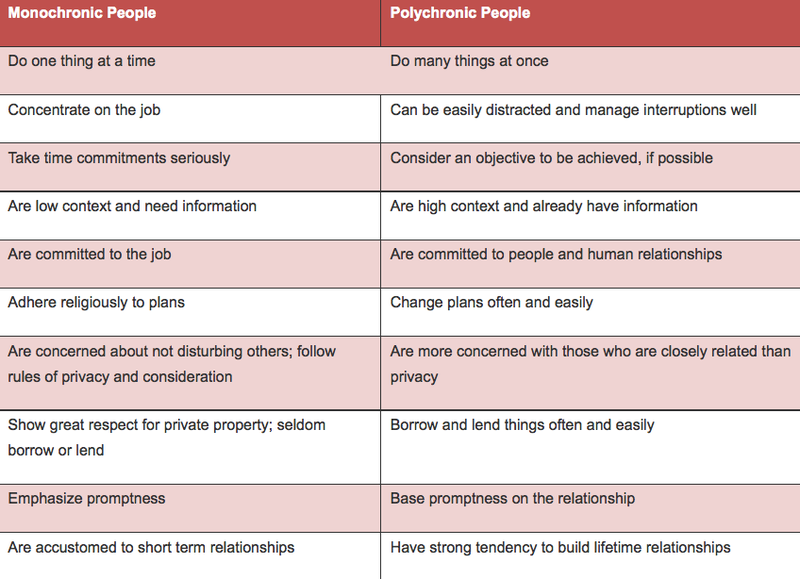 It is wise to consider monchronic and polychronic cultures when designing a user experience for cross-cultural websites. This again ensures design and culture are appropriately aligned. Colours have different meaning according to where you are in the world (nope, there’s not a colour that converts best). Yet many organisations insist on consistent brand colours across different markets. It could be that you’re losing conversions by not accounting for cultural variations in the associations of colours in different countries . Brands that align design and culture are normally more successful because their websites and apps are designed according to local cultural preferences rather than trying to impose the cultural norms and traditions of the brand’s home country. In his book, Drunk Tank Pink, the American psychologist Adam Alter suggests that colours have meaning partly because they are associated with practically every pleasant and unpleasant object on Earth. As a result our interpretation and preference for colours is strongly influenced by factors such as language, climate, gender, age and context. 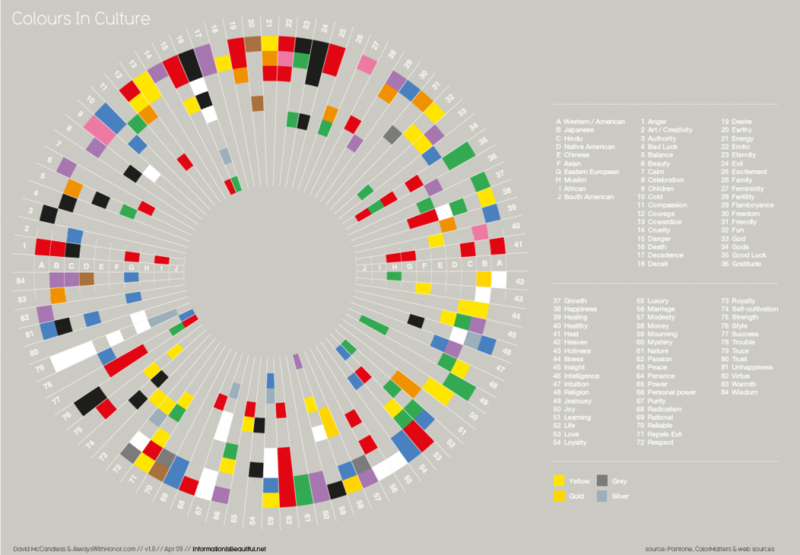 For example the way languages categorise colours differs (e.g. Russian has two words for blue), and certain colours are also used to express moods and feelings in some languages which inevitably affects how we perceive them. If you’re curious, you can see which colours mean what here: Colours Across Cultures, Translating colours in interactive marketing communications by Global Propaganda. 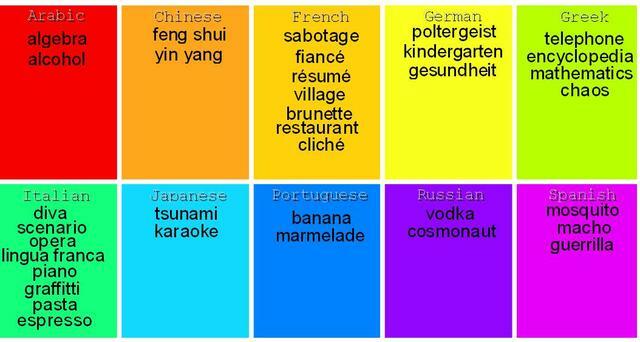 In 1999 American researchers investigated how people from 8 countries perceive different colours. The analysis allowed researchers to generate a colour spectrum of meaning with red at one end and the blue-green-white cluster at the other end. Red is associated with hot/vibrant and the spectrum gradually moves towards calm/gentle/peaceful that the blue-green-white cluster is associated with. Testing by international search and conversion agency Oban International suggests that cultural preferences for particular colours may also be driven by strong national associations and brand identities taken from individual sectors of the economy. Joe Doveton tested this hypothesis in Germany where brands such as Siemens, Mercedes and Audi are renowned for promoting engineering excellence as an integral part of their USP. In tests for global air charter company Chapman Freeborn, they discovered a strong preference among German visitors for a silver button and a big dislike for a red button. Silver in Germany is synonymous with the Mercedes brand. Red may be associated with the old Soviet Union which at one time controlled East Germany. Again, this is why it is important to align design and culture. Your value proposition is the most important element of your communication. The danger of using direct translation, especially for keywords, is that you will end up with copy that uses words out of context. The term “mobile” for example is fine in the UK, but people in the United States refer to mobile phones as “cellphones”. In Germany people use a different word again, “handy” and in France “portable”. The same term can also have multiple meanings in a language. Understanding your customers is the best way to craft a great value proposition. However, your customers preferences’ will likely vary according to their culture. This is where you can use qualitative research to learn new insights and validate or challenge your existing ideas on how to improve conversions by aligning design and culure. You can then use A/B testing to evaluate different copy and images to identify the best performing messages. Pro tip: use loanwords in your copy – they’re often left out of copy that is directly translated. Fonts often have visceral connotations behind them, and they often vary culture-to-culture. For example in the United States people relate Helvetica with the US Government and the IRS because it is commonly used on tax forms. This again demonstrates how design and culture can heavily influence how visitors view something as simple as a font. Another example is how logographic language cultures use smaller, tightly packed text, confusing American readers. That’s because the language itself (e.g. Japanese) communicates a lot of information in just a few characters. Further, as Japanese doesn’t have italics or capital letters it is more difficult to create a clear visual hierarchy to organise information. So web designers often use decoration or graphic text to create emphasis where required. 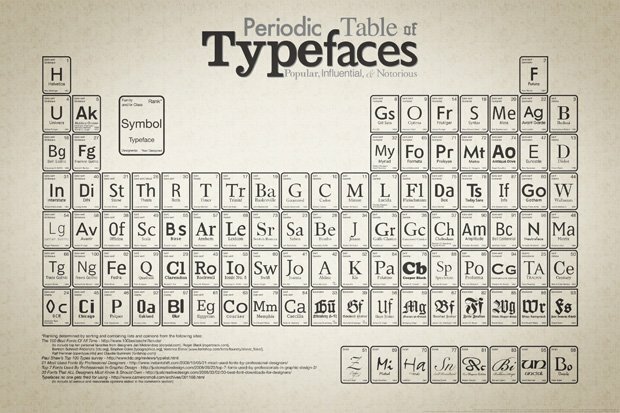 For more on font psychology read this post by Alex Bulat. Further complicating the issue of conversion across cultures, we have the distinction between bi-culturalism and multi-culturalism. In the 2010 US Census over 6 percent of the population (over 2 million citizens) associated themselves with two or more ethnic or racial groups. Psychologists have discovered that bi-cultural people engage in frame switching, which means they can perceive the world through a different cultural lens depending upon the context of the situation and whether it reminds them of one culture or another. So we can’t assume people coming from a different culture (e.g. Vietnamese Americans), will retain all the same preferences as individuals still living in their native culture. Web analytics may help you identify potential bi-cultural visitors. Even across monocultural people there are strong contrasts in values and behaviour. The concept of honour tends to be more strongly associated with East Asia than the West. However, even in the United States honour is known to influence behaviour more in southern and western states than in the northern states. All this goes back to understanding your customers and aligning design and culture. Technology: We can’t assume people will all be using the same technology in different geographical markets. In Africa, for example, mobile commerce is much more established in certain sectors, (e.g. banking), because of a lack of fixed-line internet infrastructure. For various reasons, iPhones have failed to establish a large market share in Spain, so Android and other operating systems more relevant to the Spanish mobile user. In large parts of Central Africa, Opera is the dominant browser. visitors from the West (making cross browser testing important). For more detailed information check out data from StatCounter. Search Engines: – The major search engines use different algorithms for different countries and languages. Although Google has increased its penetration in Russia, the local search engine, Yandex, is still an important search engine in the country. In China, Google is not used at all, with Baidu being the top search engine with a market share of over 50%. For more details of search engine market share see an article from extraDigital. Payment Methods: – There are different payment methods. This means having a single cashier or ecommerce check-out design is unlikely to be optimal for a global audience. In Europe, credit card penetration is much lower in Germany, Netherlands and Poland. For cultural reasons many Germans dislike credit and as a result the single most popular payment method (38%) is (ELV). In the Netherlands a similar payment option, iDeal, is the referred method of payment for 55% of online shoppers. Security-conscious Russians still like to use cash as a quarter of them use Qiwi to make online payments. This allows people to deposit cash into ATM style machines and then make payments online without having to transmit sensitive bank or credit card numbers over the internet. Even in Turkey where credit and debit cards are very popular (87% market share) you won’t see Visa or MasterCard on most cards. In Islamic countries Sharia law prohibits the acceptance of interest or fees for loans and so potentially limits the use of credit cards and other Western style financial products. The expansion of Islamic banking is making e-commerce more accessible to Muslims, but again adds to the complexity of online payment processes and demonstrates the importance of aligning design and culture. 1. Research competitors: – To obtain a feel for whether your website is out of sync with the local culture conduct a competitor review of sites in the country concerned. This will give you the opportunity to look for similarities across your competitors’ websites that may indicate areas for A/B testing. (Just don’t copy your competitors; they don’t know what they’re doing either). There is sometimes a tendency to focus on purely transactional matters (e.g. 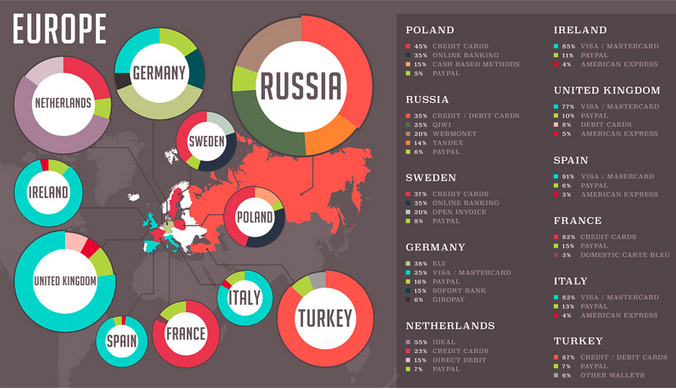 payment methods) when adapting websites for an international audience. This is a mistake and I would recommend paying attention to your website colours and the language you use to ensure the site conforms to local preferences. 3. Use qualitative research to get a local perspective: – In addition, use local contacts, such as colleagues and suppliers to obtain feedback on your site in different countries. I’m surprised how often I come across websites and apps where it is obvious that a key page or journey has not had input from someone in the targeted country. Don’t fall into this trap as it is dangerous to rely solely on website experts who are not embedded in local culture. 4. Consider cultural dimensions and context: – Utilise the country comparison tool to understand the cultural dimensions of your audience and how contextualised your website needs to be. The more your website can reflect local cultural preferences the more likely your visitors will happily engage and interact with your content. However, use testing to ensure you validate your hypothesis as there needs to be a return on investment as otherwise you may be better spending your money elsewhere. 4. Serve targeted content: – A/B testing is also ideal for evaluating the use of dynamic content to target images and messages that are responsive to how different cultures see the world. This allows you to increase conversions by using geo-targeting (i.e. based upon country IP address) or other cultural indicators and let the data guide your website design. Both of these Hertz websites are on the same domain and root directory (Hertz.com), but have different languages, visuals and appropriate text. 5. Analyse customer behaviour: – Cultural targeting has perhaps the greatest potential for your existing customers where you can track and analyse their behaviour over time. Use your customer database to analyse behaviour by cultural indicators to see if you can identify key cultural drivers to their behaviour. Alternatively try A/B testing personalisation based upon cultural differences to see what impact this has on your KPIs. 6. Multiculturalism: – Due to the increasing influence and spread of cultural preferences across the globe there are likely to be opportunities to segment by cultural indicators even in your home country. There are strong cultural and racial indicators, such as customer names, that you can utilise to segment your customers by and test the performance of targeted content. Given the complexity of the human psyche and the pervasive power of cultural influences on our behaviour it is dangerous to assume anything when trying to improve website performance. Make A/B and multivariate testing your friend and guide in the multicultural jungle. Thank you for reading my post. If you found this post of value please share it with your contacts by using the social network icons below or at the top of the page. Many thanks to Alex Birkett, Content Strategist at ConversionXL for his help and input in writing this post.